Even your list-making deserves to be stylish every now and then. Never write on plain paper again! 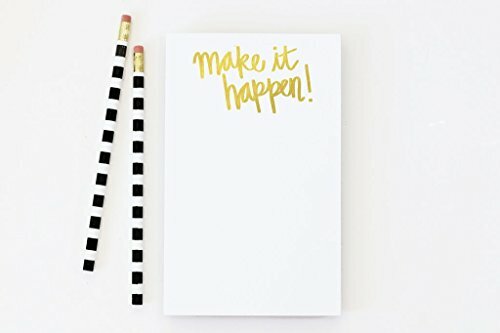 Notepad measures 5" x 8" and reads "Make it Happen!" in hand lettered text. Text in REAL gold foil. If you have any questions about this product by When it Rains Paper Co., contact us by completing and submitting the form below. If you are looking for a specif part number, please include it with your message.